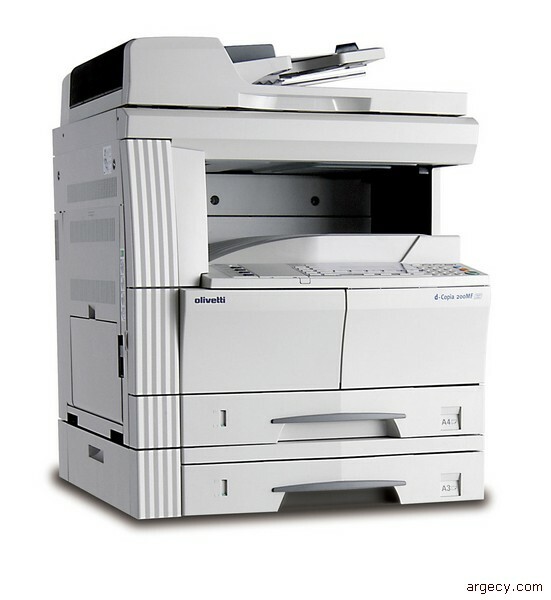 The multifunctional digital copier Olivetti d-Copia 200MF optimises office productivity with a series of professional features that include standard copier and printer capabilities. - network functionalities (scan to e-mail, scan-to-PC, etc) and digital document storage functions. Moreover significant savings are ensured with a 150,000-copy capability drum and with a 15,000-copy mono-component toner. Document Format A3R-A5R, Folio, 11"x17"
First Copy Time 5.9 sec.